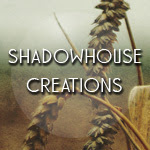 Have you visited the blog at Artsmiths? Now, that is one web site you don't want to miss. Artsmiths is a cooperative of professional, mixed media artist friends who have bonded together to support one another in promoting their art, help and encourage each other, and generally chat about art and what's up in our worlds. You can see the whole piece in my post, One Word - HOPEFUL - by Sally Turlington, on the Artsmiths blog. You'll want to check back on that blog regularly because there will be all kinds of different projects and posts from thirteen different artists. Some are collaborative projects, some collective and some will be totally independent. There are artist-of-the-month posts with in-depth interviews about those artists, info on publication by the artists, news about events the artists are involved in -- including where they will be teaching, and links to each artist's own personal blog. In addition there are photo albums of each artist's artwork. The Smithies (as we have come to refer to ourselves) are planning to post items of interest to the art community - resources, tutorials, scans of art, posts about interesting web sites, challenges, contests, etc. You won't want to miss a single word of it. My Smithie friends are a fun, down-to-earth group of exceptionally talented and well known artists who love to share themselves and their art. They are caring and helpful to one another. I appreciate knowing them and participating in their world. The Smithies include these artists: Angela Cartwright, Sarah Fishburn, Lelainia Lloyd, Denise Lombardozzi, Sylvia Luna, Deryn Mentock, Crystal Neubauer, Pilar Pollock, Kristen Robinson, Mary Beth Shaw, Deb Trotter, Sally Turlington, and Tiffini Elektra X. Why not hop over right now to the Artsmiths blog and poke round a little? And don't forget to let me know what you think of my collage. YEA!!! 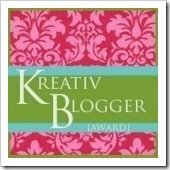 I got a Blog of the Day Award!! WooHoo! Who'da thunk it? I actually got an award for Blog of the Day! It was awarded today, October 16, 2007! Check it out on Famous Blogs - Blog of the Day Awards. How cool. Now I feel really motivated to post and post and post. Hmmm- m-m-m, better go do some art.